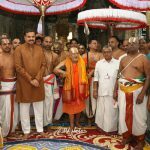 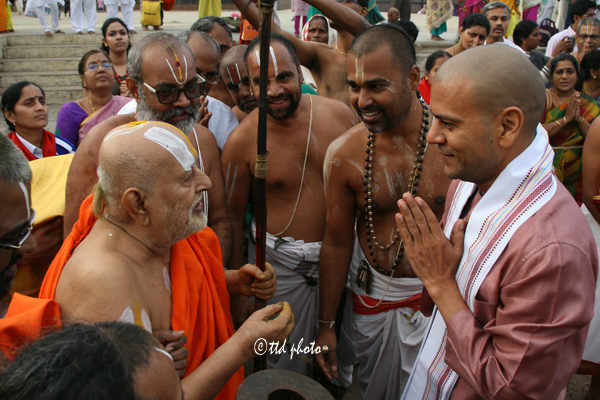 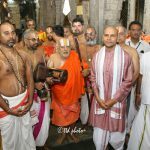 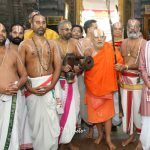 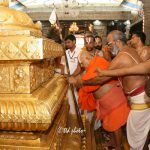 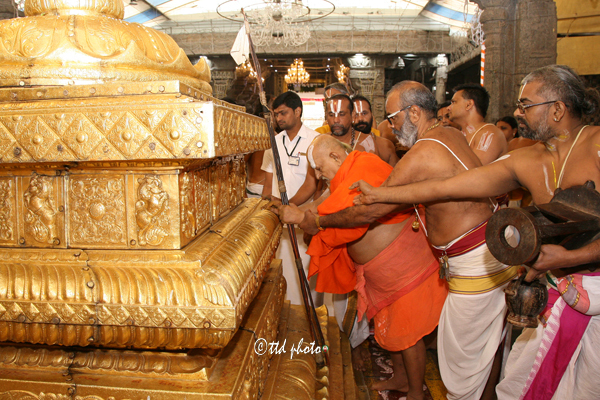 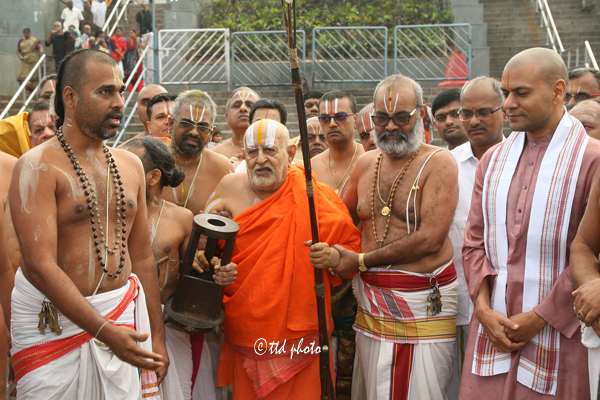 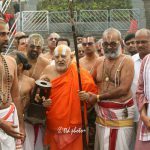 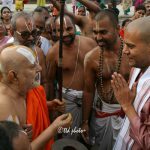 TIRUMALA, 28 November 2017: His Holiness Sri Ranga Ramanuja Mahadesikan (Andavan), Chief Pontiff of Srirangam Srimath Andavan Ashramam visited Sri Vari Temple, Tirumala on Tuesday Morning. 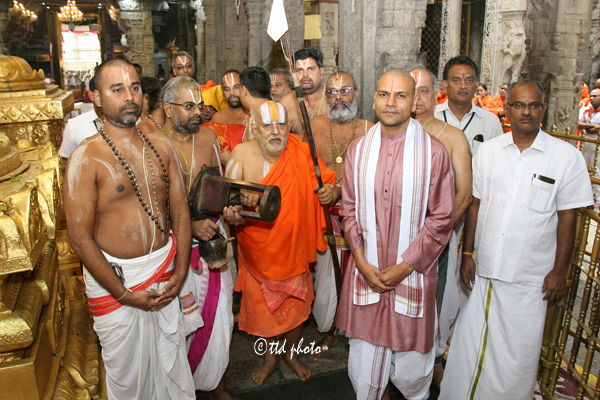 On his arrival at infront of Sri Vari Temple TTD Executive Officer Sri Anil Kumar Singhal and Temple Priests welcomed him with Temple Honors and led him to Sanctum Santorium. 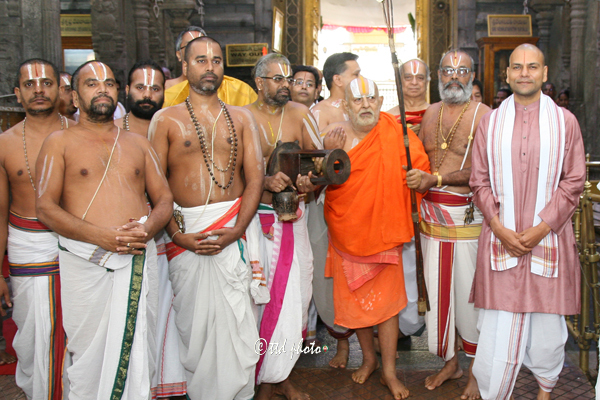 DyEO Sri Rama Rao, Peishkar Sri R Selvam, Parpatheyadar Sri Ramachandra, Bokkasam Incharge Sri Gururaja Rao and others were present.